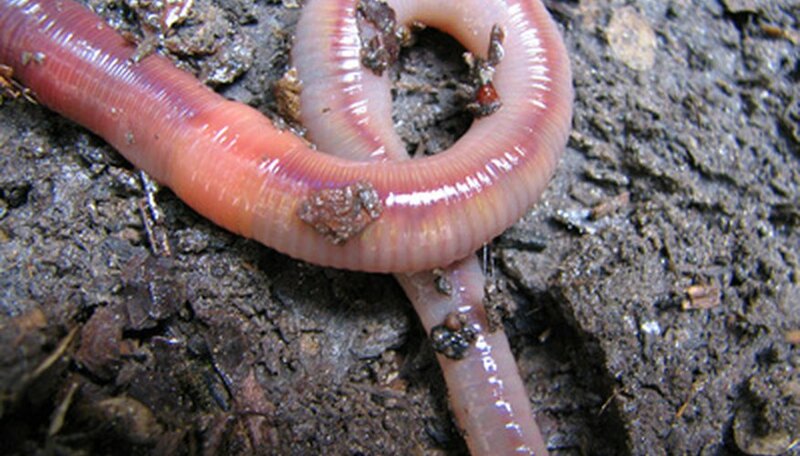 Worm composting, also known as vermicomposting, is a method in which red earthworms are used to compost waste. According to Fine Gardening, worms can recycle your garbage and turn it into rich compost for your garden in just 60 days. You can feed compost worms any plant-based material, eggshells, coffee grounds and tea. Flower petals are a good addition to compost and can easily be added with just a few precautions. Rip the flower petals off of the stem and place them in the bowl. Use any flower petals from your garden as long as they are not poisonous. Rose petals, daisy petals and tulip petals are all usable. The flower petals can be of any size. If they are large, rip them up in to smaller pieces, about 1 inch by 1 inch. Poisonous flower petals to avoid include: elephant ears, lily-of-the-valley, bleeding heart, laurels, rhododendrons, azaleas, buttercups and nightshade. Open the worm-composting bin. Make sure there is only a small amount of food, maybe 1 or 2 cups, before you add the flower petals. If there is too much food in the bin, add the flower petals in 1 or 2 days. Dig aside some of the compost bedding and sprinkle the flower petals over the top of the worm compost. Cover the flower petals with 1 inch of compost bedding. Add flower petals to the worm composting bin no more than once every 1 to 2 weeks along with the worms' other food. If the worms have too much to eat the bin will get too full. Allow the worms to eat what they have before you add anything new. Do not feed worms flower petals that have been sprayed with pesticide or weed killer or it may harm the worms.